With integrity, dignity and compassion, our adoption program makes a lifelong commitment to serve those touched by adoption while ensuring the best interest of the child. Would you like information about choosing adoption for your child? Contact a pregnancy planning counselor. As a community service provider would you like more information on how our services can assist you? Staff at The Center for Youth & Family Solutions is here to work with you as you help your client consider their adoption options. Whether you are a physician, attorney, minister or counselor, our experienced Adoption Specialists are here to help when you need to get information on how to help your client with the adoption process. Our staff provides your client with accurate information on the many adoption options and unwavering support as they begin to navigate the adoption process. While you provide the guidance they need from you, we can provide the expertise and professional social service supports that will bring them closer to realizing their goal of building a family. To make a referral, simply contact your local CYFS Adoption Specialist, use our Contact An Adoption Worker form or call the Adoption Supervisor, Allison Sparrow, at 309-820-7616. Would you like information about building your family through adoption? Our worker can meet with your client to explain our programs as well as send you information on Infant, Waiting Children or Embryo Adoption. CYFS understands that both the needs of families seeking to adopt, and the needs of children requiring forever families vary significantly. The CYFS Adoption Program offers options for creating forever families through four programs that make a powerful difference in the lives of children. The Infant Adoption Program provides counseling, education and support to individuals or couples seeking to adopt an infant. 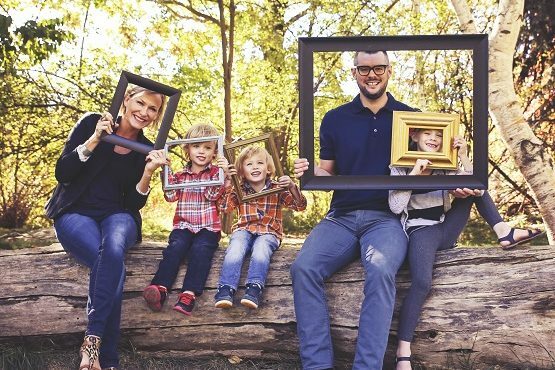 Our adoptive parent training is approved by the State of Illinois and gives prospective parents insight into their emerging role as an adoptive parent. When a birth parent makes a personal choice regarding adoption, a CYFS pregnancy planning counselor helps her with adoption planning. Learn more about adopting through our Infant Adoption Program. It is not only infants who need adoptive parents. In Illinois today, there are over 2,000 children currently in foster care who are legally available for adoption and need permanent families. Many of these children have experienced trauma as a result of abuse or serious neglect. In our Adopt Waiting Children Program, a trained adoption specialist works with the prospective parent or couple to assess their strengths. We match waiting children with forever families who can meet their needs and help them achieve their full potential. Find out more about adopting through our Adopt Waiting Children Program and Adoption Conversion – Adopting a Child Placed in Foster Care with You. New to CYFS Adoption Services is our Embryo Adoption Program. In the United States, there are an estimated 500,000 human embryos in frozen storage. These embryos were created by couples who chose pregnancy through in vitro fertilization. Once these parents have been able to build their family, they can select adoption as an alternative for the remaining embryos. The process of embryo adoption is governed by contract law. CYFS can assist both the genetic parents and those seeking to adopt an embryo with services that safeguard the transition of the embryo from one family to another. Find out more about our Embryo Adoption Program. To learn more about our the mission and values of Adoption Programs visit our Adoption Program Mission and Values page. Interested in finding out more about becoming an adoptive parent? Visit our Be an Adoptive Parent page.